Drop off plastic bags + plastic film at Safeway. There are bins inside the Wisconsin Avenue and parking deck entrances. 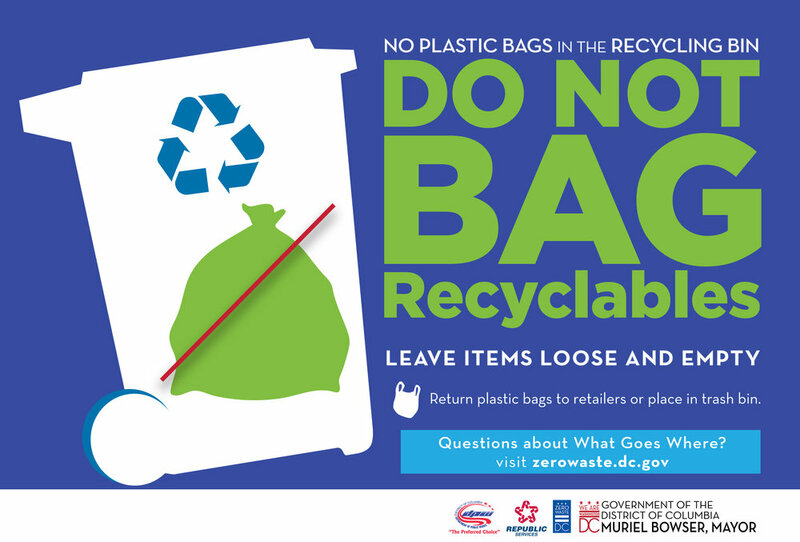 For more on Zero Waste DC, visit zerowaste.dc.gov. check out its handy “What Goes Where?” tool. 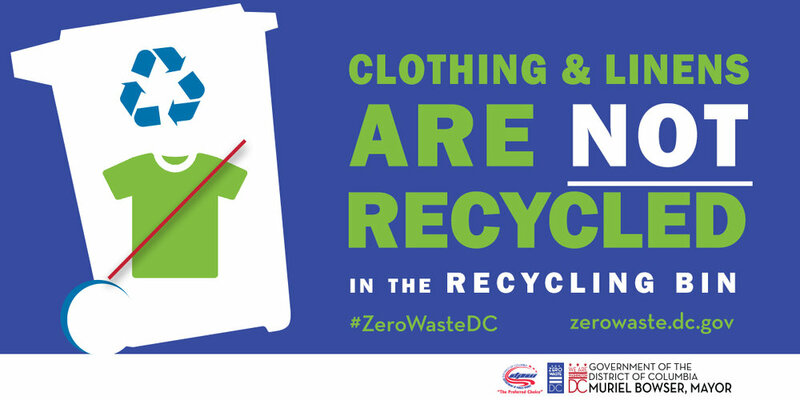 Texiles™, a DC firm founded by social entrepreneur Kaveri Marathe, picks up clothing of any type in just about any condition, as long as it's been laundered. Visit texiles.com for info.